My husband Shaun and I were in London and Paris over the holidays. This was our first time visiting these fine cities. 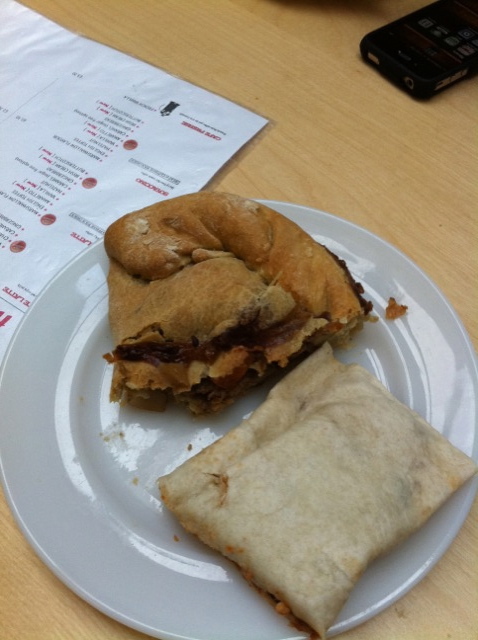 We did our research and had a huge list of vegan friendly eateries that we were eager to try. With Christmas, Boxing Day and the two bank holidays, many places decided to close from Saturday until Tuesday! This forced us to wander the streets of London trying to find something on our list that was actually open. We had no idea that such a huge city like London would completely shut down over the holidays…even The Tube was closed for part of our trip! The good thing was that while we were on the search for food, we got tons of exercising walking and building up our appetites. The first place we found was an all you can eat vegan buffet called Jai. 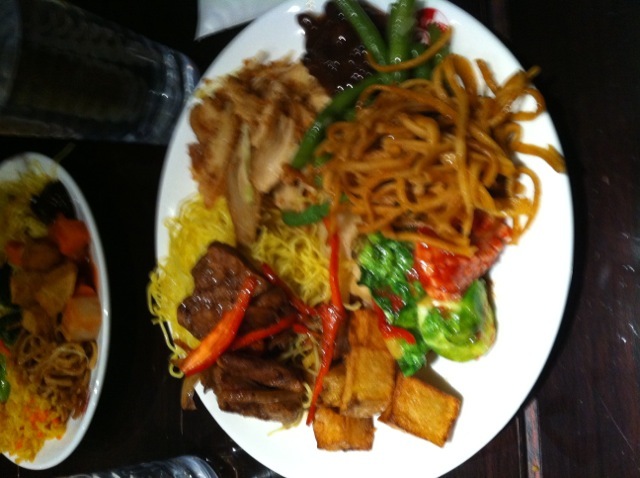 It was your typical Asian spread with noodles, rice, stir-fried veggies and mock meats. It was also very cheap at 5 pounds 50 for as much as your belly can hold. This restaurant chain is all over London with names such as Tao, Jao, Veg, Tai and various other three-letter words. For the price and the number of restaurants, it is a safe bet. We found another vegan safety zone-Maoz. 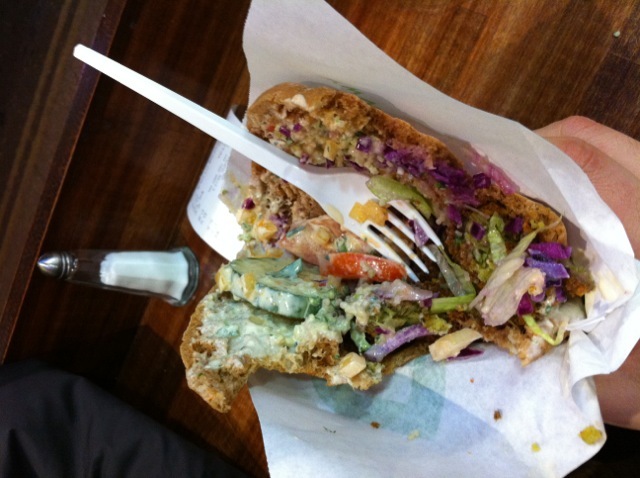 This is a chain of falafel joints in Europe but it has spread to New York City and that is where we first experienced its greatness! 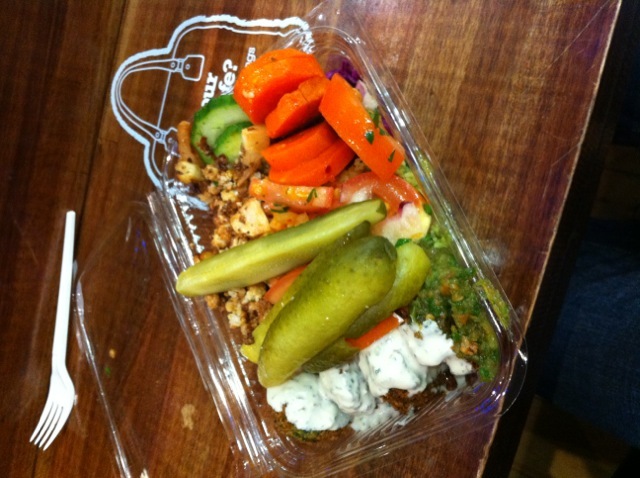 Maoz is like Subway for falafels but you get to add your own topping from the endless salad bar. They provide you with a pita filled with falafels and you go nuts adding toppings such as grilled cauliflower and broccoli, tomatoes, pickles, peppers, olives and many more toppings as well as various sauces. Shaun got the pita and falafels where I chose the pita-less option where you get falafels in a box and you can still fill up on salads. It’s great because with either option, you can eat up all your veggies and then go back for a refill. It is very good and definitely worth a visit for healthy fast food. While walking all over the city, we stumbled across a vegan buffet called Vantra. We opted for the take out option where you pay for the size of the take out box and stuff it as full to your little heart’s content….BUT you have to be able to close the lid! That’s their rule and they have a sign that says so! 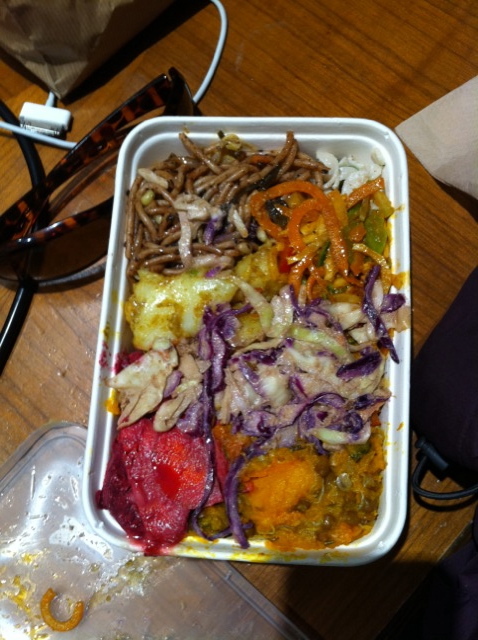 There were hot and cold dishes consisting of stews, curries, veggies, rice, noodles and salads. Many of the dishes were quite filling with potatoes and other root vegetables. Once, we got back to the hotel with our hot mixed meal, the food was a mix of mush but tasty tasty mush! If you do not like your food to touch, then this place is not for you! One day we were walking around again desperately trying find ANYTHING vegan that was open. 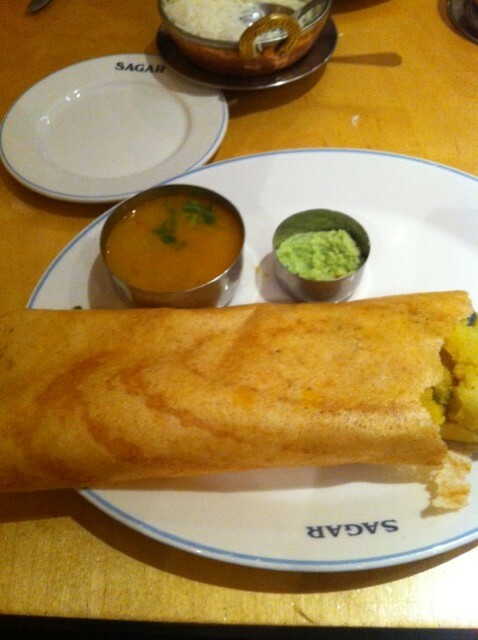 Just our luck, a sign yelled to us….Sagar-Vegetarian and Vegan Indian Cuisine. It was cold out and a warm curry sounded like a great idea. We asked about vegan options and the waitress brought us a special edited version of the main menu that contained all the vegan options. What a great idea…a separate vegan menu! Shaun ordered a curry on rice and I chose a Potato Curry Dosa. Very typical South Indian food but I was quite happy with our random find! 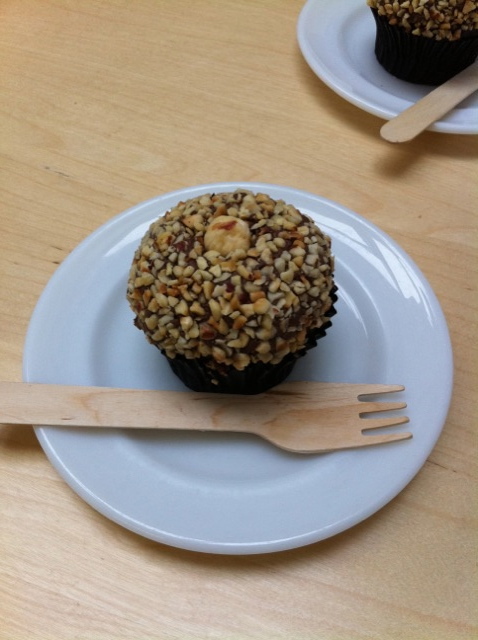 For the Grande finale…Mildred’s. 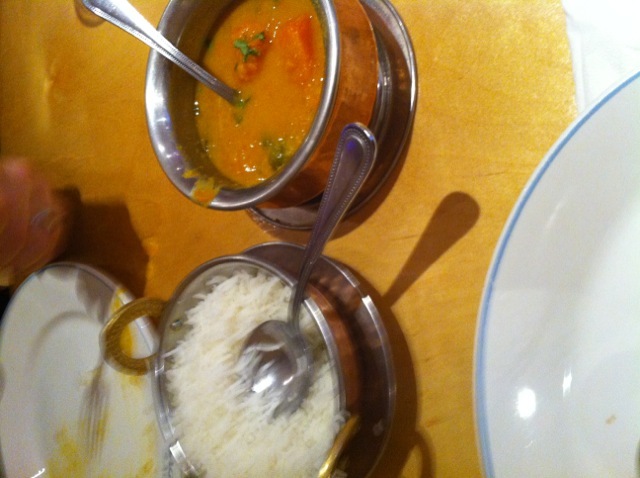 We heard many things about this great vegetarian restaurant in London. It has been around since the late 1980’s and is often a crowd favourite. The menu has mostly organic items and the vegan items are clearly labeled. I went with the Mixed Mushroom and Porcini Ale Pie served with fries and mushy peas. 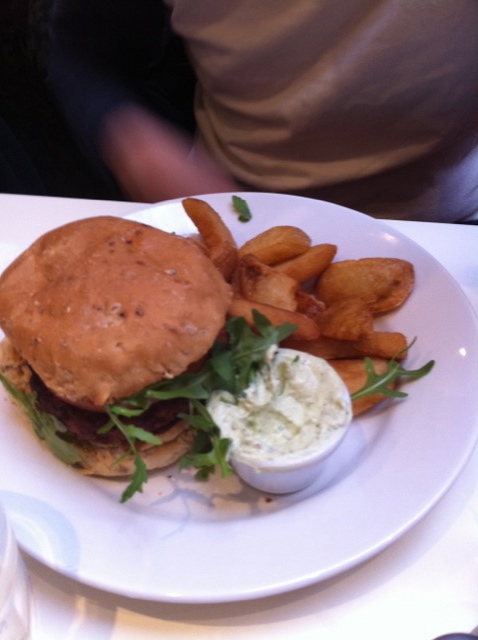 Shaun had the Burger of the Day with fries and a basil “mayo” that was spectacular. Both dishes were amazing and now we see why this place is always so busy. For dessert, I went with the Cherry Chocolate Truffle with Fig Coulis and Shaun had the Tofu Coconut and Banana Cheesecake with Maple Syrup. 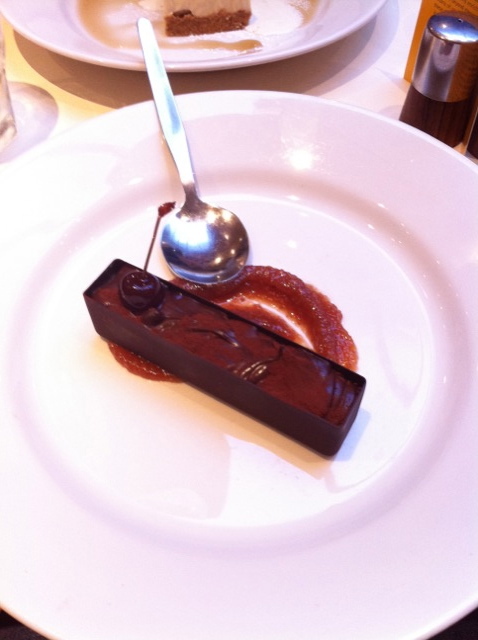 The truffle was a rich pure chocolate pudding served in a dark chocolate rectangular box. I still dream of its chocolaty goodness. The cheesecake was probably the best that either of us has ever had and Shaun knows his cheesecakes! 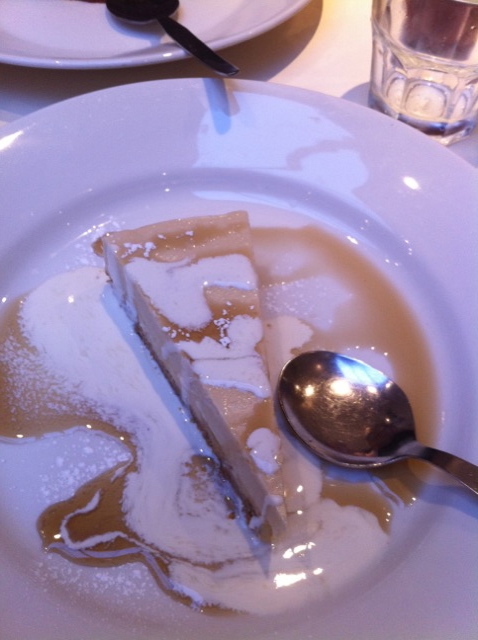 Overall, this was the best meal we had had in London. 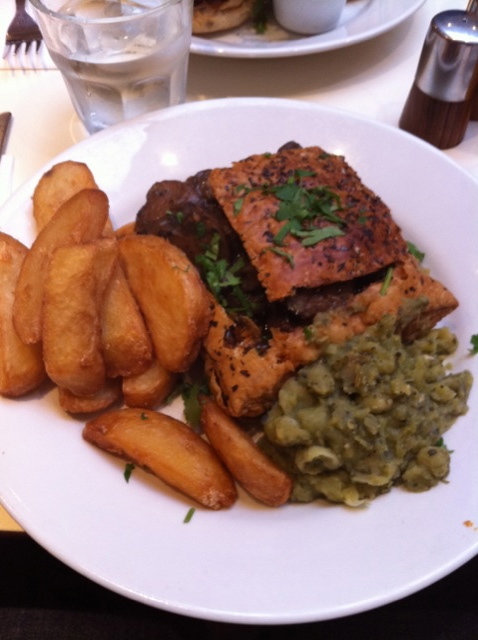 Overall, London was extremely veg friendly but most places knew how to make their dishes vegan when asked. All you can eat buffets and pay by box size are quite common at the restaurants. This makes it very easy to load up for a big meal and the prices are very cheap too! I know there are many other vegan places in London but we were limited as quite a few were closed over the holidays. We could easily go back to London and not eat at the same restaurants but some of these are definitely worth going again and again! Next stop…. Paris and Part 2 of our adventure. YUM! We might be headed for London in March, so good to know!